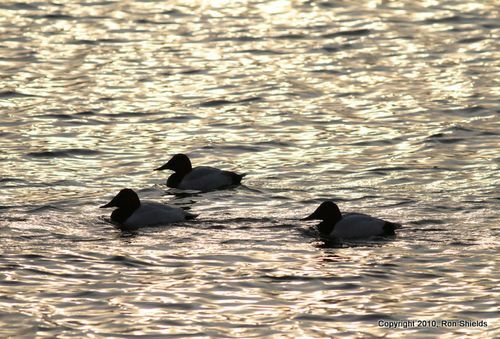 Ron Shields writes: "Attached please find several images from a visit last weekend to Mill Creek Marsh, as well as a photo of Canvasback silhouettes at sunset at DeKorte Park. "After thawing earlier in the week, the Kearny Marsh is once again frozen over. The Common Moorhen is still on the premises though." 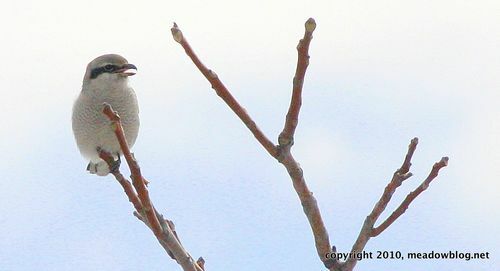 Ron's photos of a Gadwall and Common Merg follow.